Get ready for an amazing, head-to-toe shower every time with this hand shower from Delta. Its 2-in-1 design really improves your shower time, making sure you don't miss any spots. Its 3-inch D, 28-inch H, and 3-inch W size creates a great shower every time by giving you plenty of water power. Experience a better shower with the control and flexibility of a Delta. hand shower. Great for showering yourself or your loved ones and pets, as well as for keeping your shower and tub clean. The pause setting gives you ample space for shaving, lathering and other shower tasks, then easily restarts the water with the temperature where you left off. This spray setting helps you conserve water, so you can worry less about depleting your supply of hot water - and you help the environment too. 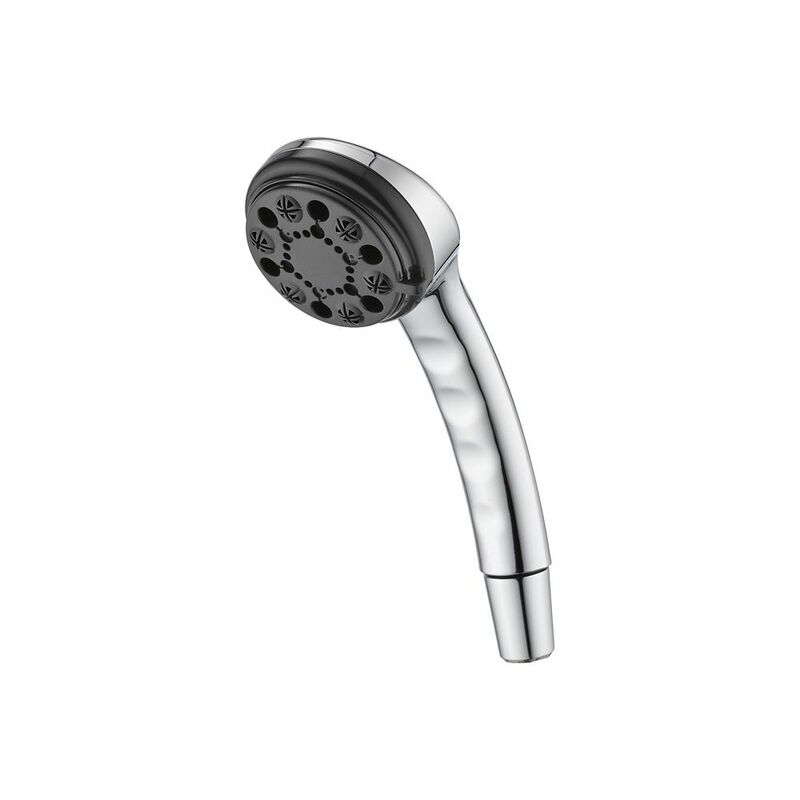 Hand Shower, Chrome Wash the day away with this multi-functional hand shower. We've got you covered from top to bottom, or bottom to top, giving you water anyway you need it, anywhere you need it. Innovative Pause feature allows you to conserve water while lathering up.